Finding a commercial van that will work as hard as you do is no easy feat. While you understandably are searching for a van that has the power, dependability and overall functionality to meet your unique business needs, you also want the van to be comfortable to spend your days in and to have a stylish look that well-represents your business. The 2019 RAM Promaster is the van that you have been looking for. Our courteous and knowledgeable sales team at Melloy RAM is ready to tell you about this van's features, trims and capabilities when you contact us soon for more information and to set up a test drive appointment. When you get closer to the 2019 RAM Promaster near Santa Fe by visiting our dealership, you will notice that this van has been designed with commercial functionality in mind. Its wide exterior dimensions ensure ample interior space for all of your needs. The front end slopes outward toward a three-piece modified bumper in black. The large halogen headlamps with a daytime running feature as well as the optional foglamps are integrated into the front end. Black molding runs along the lower side panels and over the wheel wells, and this molding eventually becomes the rear bumper. Other exterior features include rear clearance lamps, 16-inch steel wheels, all-season tires, splash guards, deep tinted glass and other features. When you stop by Melloy RAM serving Santa Fe New Mexico, you can admire the stunning exterior design and learn about the many customization features available to improve the van's look and functionality to meet your needs. 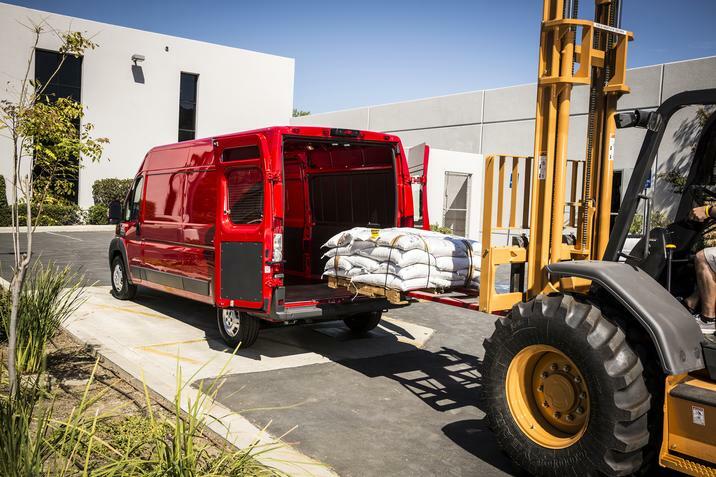 If you are looking for a commercial van with ample space for all of your business needs, a closer look at the 2019 RAM Promaster near Santa Fe meets all of your high expectations. This van has a best-in-class rating for standard cargo height, and it also has the largest width of any vehicle in its class. The rear interior area can be customized or retrofitted to fit any needs so that this van is as functional and as practical as you need it to be. The two rear doors swing wide open, and a large side door slides open manually with ease. The two front swivel seats sit high so that you have an excellent view of the road. They also have a suspension feature and a heating element for comfort. Other interior features include 12-volt power outlets, climate control, storage features, a leather steering wheel, power windows, automatic door locks, window grates, a media hub, a sound system, a 5-inch screen for the navigation system, SiriusXM radio, a remote USB port and additional features. With more than a dozen trim variations available to review and choose from, it makes sense to stop by our RAM dealership serving Santa Fe New Mexico soon to take a closer look at the many options. 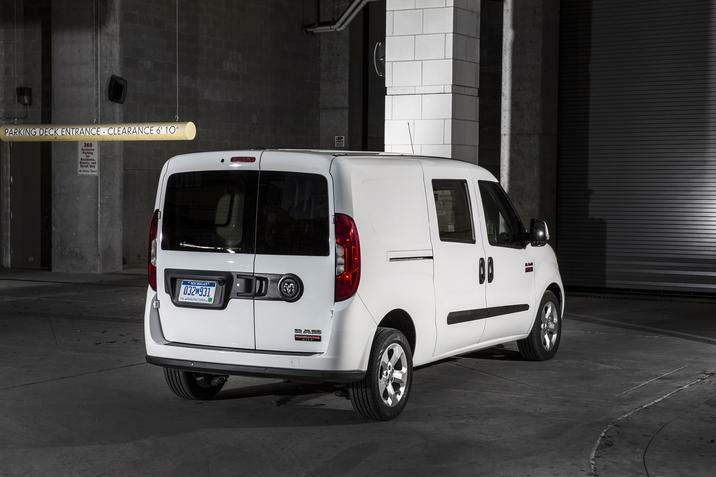 The 2019 RAM Promaster is a commercial van that has the performance capabilities that you are searching for in your next vehicle. All trims have many similar features, but there are several variations that our sales team can tell you about when you reach out to us soon. You can generally expect your new Promaster to be equipped with a heavy-duty suspension, stabilizer bars, a MacPherson front strut, a solid rear axle with a leaf spring, anti-lock disc power brakes, electric power steering, front-wheel drive, brake assist and additional features. One primary powertrain is available across all trims, and it has the capability of meeting all of your needs. This is a 3.6-liter, V6 engine with variable valve timing. It comes with an automatic transmission and provides you with trailer sway damping. Its towing capability is at least 5,100 pounds. Our sales professionals serving Santa Fe New Mexico are excited to meet with you soon and to tell you more about the performance-based features in the new 2019 RAM Promaster near Santa Fe. 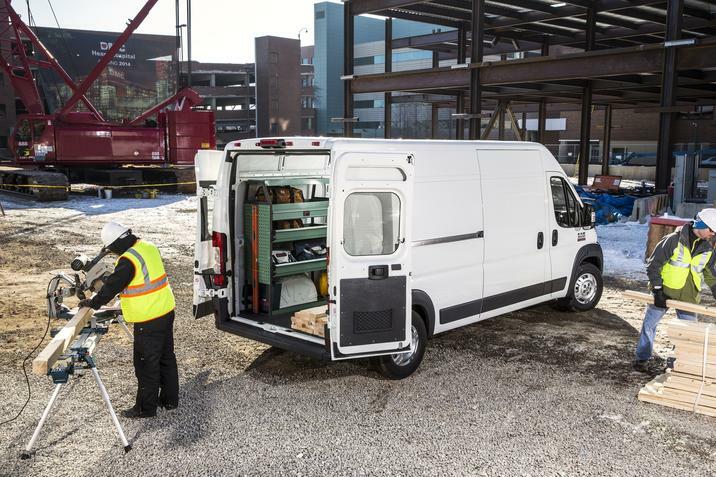 When you choose the 2019 RAM Promaster as your work van, you can feel confident on the road each day thanks to its full range of safety features. These standard or optional features include electronic roll mitigation, a roadside safety kit, all-speed traction control, airbags, a speed limiter, electronic stability control, hill start assist, a rear backup camera with parking assistance, a security alarm, remote keyless entry, traction control, a TPMS, a security alarm and a few additional features. Melloy RAM is your local source for quality trucks that meet all of your needs. 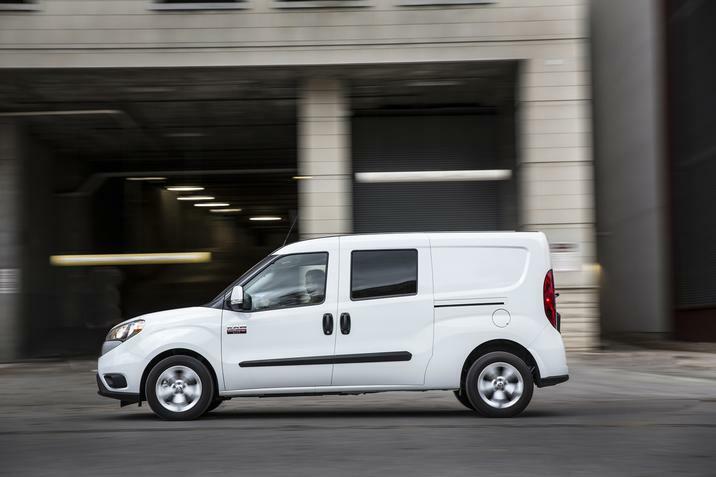 If you are searching for a work van that lives up to your high expectations and that is functional for your unique business needs, the Promaster for 2019 is a wonderful vehicle that rises to the occasion. To request more information and to take a closer look at the many trims and options available, contact us today.